Discussion in 'GTLOZ Past Seasons' started by Hatfield, Sep 25, 2018. It was a very busy race. But before you watch it, I noticed a lot of rear punts that didn't get redressed. This is how Rooz operates. If you cause someone to go off track and take their position, redress. It's the right thing to do. LennonLegend1993, Hatfield and Tristan Jones like this. I also need to practice how to actually race again. Qualifying third and not being able to stay on the track is disappointing. Easyprey007, Green Terror and Tristan Jones like this. Another perfect round last week with no protests again despite some unredressed incidents. Please make sure to redress when required in future. Also thanks again to PAGNIAN for providing the prizes for the last season of the year, 2 x Wheelstand lites valued at $199 each ! Remember you must race and complete 4 of the 7 rounds to be eligible for the PAGNIAN prize draw at seasons end. As always please take 2 mins to read the following so you have an understanding of what is expected on race night......If you have any questions, or want clarification on any of the rules or regs please ask ! ROOM OPEN : Most room captains will 'try' to have rooms open by about 7:50 AEDT. Please be on time, or let the room captain or div thread if you may be late. If all agree, the room may wait for you, Within reason. Please remember we have drivers from NZ, and later starts mean a much later night for them. SIGHT ISSUES: Ensure that you can see everyone on track. 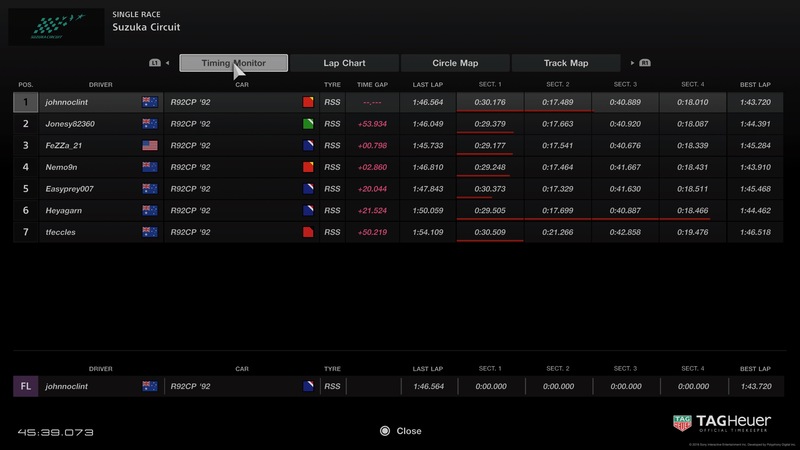 After qualifying, exit to lobby and spend 30 seconds in spectate mode, scroll through the list of drivers on track and make sure that you can see their car. If you can't see somebody (and they are confirmed as being on track), exit the lobby, re-join, and check again. It can also be done pre-qualifying to save time if there is no chance of latecomers. TURN 1 LAP 1 : This has the potential to ruin someones night if we don't use our heads ! Should be everyone's goal to get through the first phase with ZERO contact. Give room and run in your 'lane' till you have space to run the normal race line. This is especially dangerous in our Group C Monster. The first two corners can be problematic here. Luckily there is run-off but be mindful of the grass strip separating the circuit from the run-off. If your unassisted tap causes someone to spin, you need to redress. TRACK LIMITS : As we are running with 'track limit penalties" OFF, we will run with our usual Raceonoz track limit regulations. This means you MUST have at least 2 wheels on the ripple strip OR white line that defines the track limit. If you do make a mistake and have to run outside the limits, be aware that you are not allowed to gain any advantage. Be especially careful not to cut over the limits of T8-9 & T15-17. CONTACT : Is to be avoided at all times..... If you rear end someone and gain an advantage, YOU ARE EXPECTED to give the spot back. Side by side 'rubbing' is racing, within reason, but all drivers are expected to give racing room. If you bump someone and they end up off track or teleport back to the corner entry, you must wait for them to rejoin and get back up to speed. Show each other RESPECT! It is difficult enough to drive this car at the limit on your own, without someone squeezing you within a millimeter of the grass. TYRES : You must start on the Racing Super Soft Tyre. After that, any Racing Tyre is allowed. PIT ENTRY : Drivers MUST make an attempt to use the pit entry / exit lines. PIT EXIT : Please use the pit exit lane and be aware of cars approaching down the straight. STEWARDS GROUP AND RACE PROTESTS : This season the stewards will be will be @Hatfield @JonoStan96 @Viperzed & @emmo46. If you have reason to protest, please SAVE YOUR REPLAY, and then let us know via a PM. DO NOT BLOW UP IN THE FORUM OR IN THE ROOM CHAT. 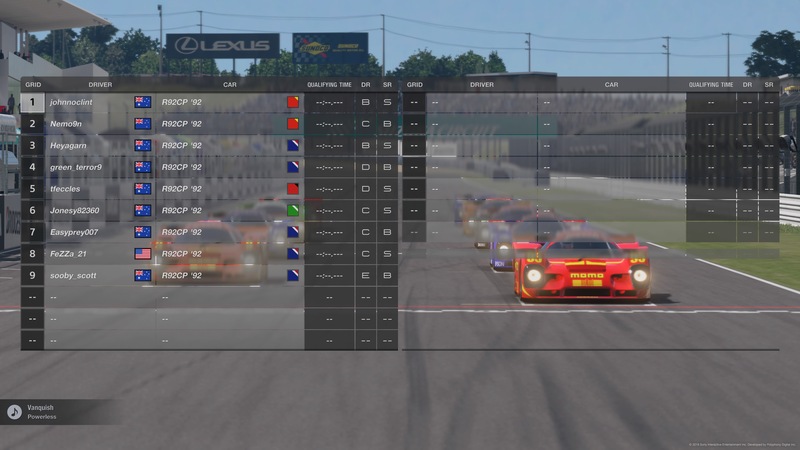 There have been multiple incidents where the replays from drivers have been different, so its true that sometimes things are not as black and white as they may seem. You have until MIDNIGHT, Monday night to register your protest via PM. We will ask for video evidence from both drivers or room captain to make any decision. Last round we again had 0 protests which is what we want to see, so please keep up the good respect! 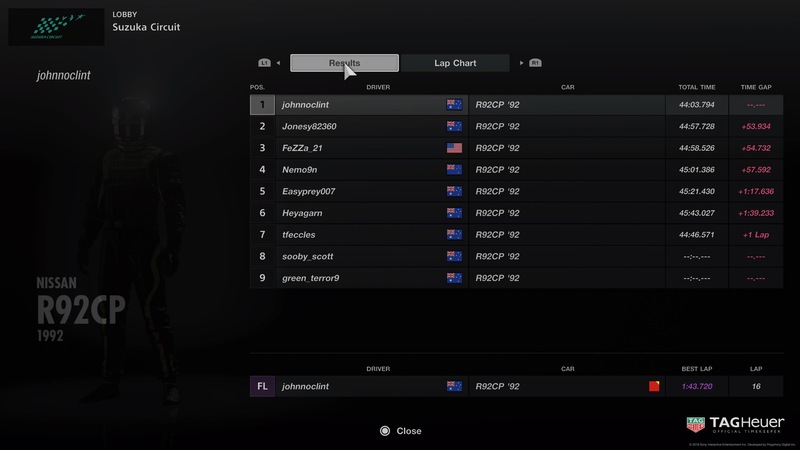 SAVE YOUR REPLAY : If the room host can ask all drivers to save their replay would be good before exiting the room.....once they exit out and the option goes, it cant be retrieved ! RETRO ROUND: Please post your retro round liveries for all to see, and it may end up on the news/facebook page! Tristan Jones, Heyagarn, Cameron Neane and 3 others like this. I'm out this weekend all - bro's wedding. It was a hard choice, ill give you that. Heyagarn, DAMN_RIGHT_BOB, Easyprey007 and 1 other person like this. Anyone else getting intermittent connection issues with PSN tonight? And yes I did all the usual diagnostic actions, reset modem/router etc. My splunk monitoring of my network and internet connections showed no issues. Easyprey007 and Matthyus like this. Anyone got the championship standings? Click the Ladder link on the main page. So stoked to have taken my first pole!! Add to that the FL and Win for the clean sweep, also being my first!! Ran a very clean race, with only 1 very minor off. The night was all about throttle control, even more so near the end of the race with low fuel and worn tires. Tristan Jones, Easyprey007 and Bryan_F like this. Nice work you definitely had the pace this week. 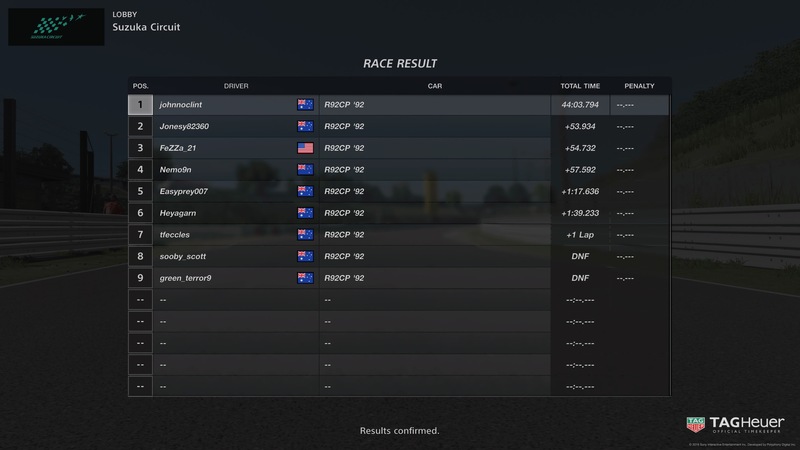 I was punted on the first lap and went to second last. Spun again and lost interest after that.